In previous posts we have talked about the lighter orange color in Spessartite. The stone in the photo is another color variant of Spessartite. This other color is a nice red-orange. The red-orange color is more affordable but in large sizes as this example still quite unusual. This stone, from a while ago in our lives, is about 36+ carats. From time to time we like to illustrate the fact that many times even the less expensive color in a gem can often be really quite beautiful. 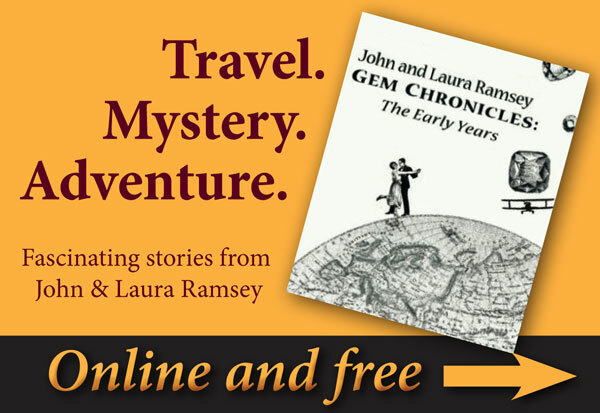 Gem collecting doesn’t have to be exclusively for the rich and famous. Delving in a little deeper, Spessartine is a variety of garnet. 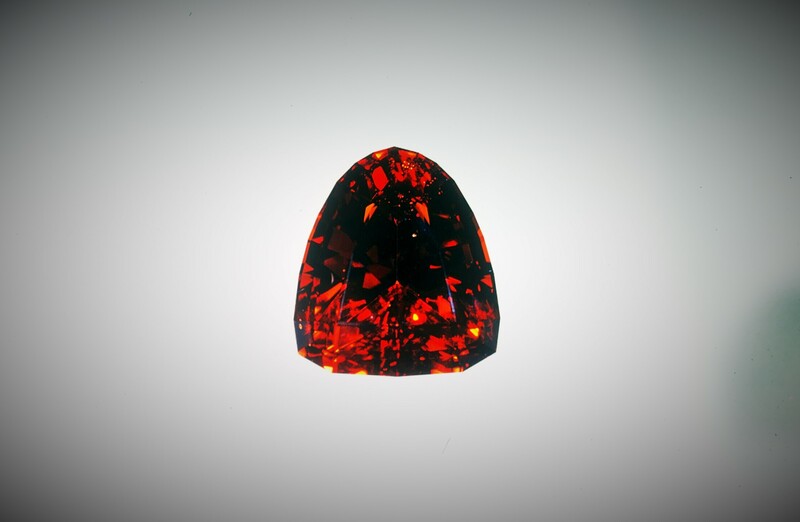 Garnet is a group of minerals. 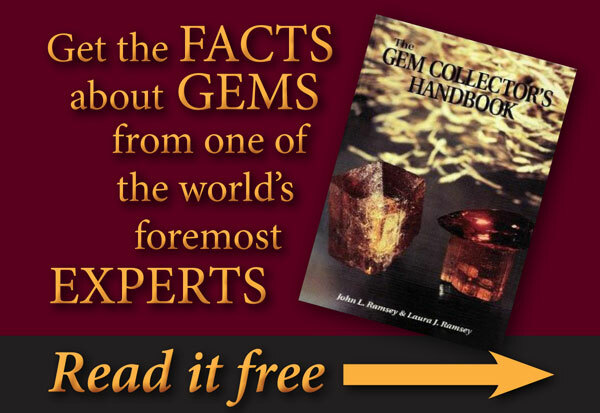 All garnets are silicates, crystalize in the isometric system and are singly refractive. 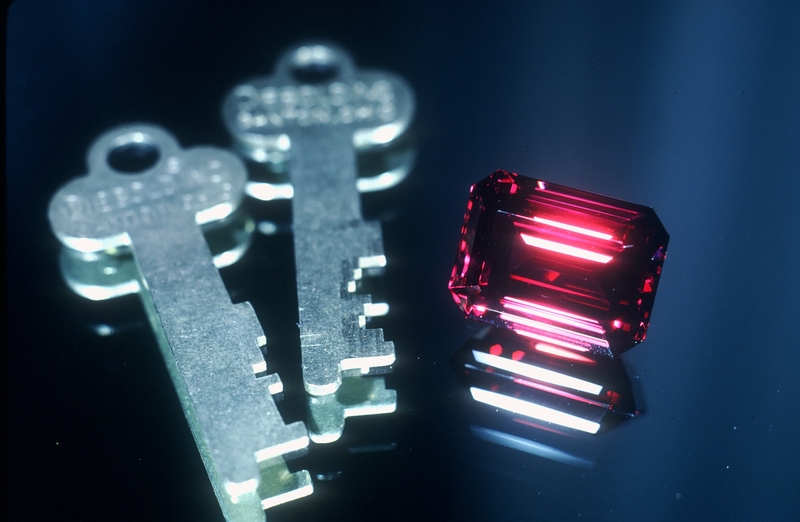 People sometimes ask “why don’t you call it Spessartine garnet.” The question is best answered by an example. We don’t, for instance, call a Blue-Jay a “Blue-Jay bird” or an Eagle an “Eagle bird.” It is understood that a Blue-Jay and an Eagle are birds. The only difference is that most people are not familiar with Spessartine. We’ve shown a lot of garnet photos over the past few weeks. One of our favorite garnets is Tsavorite which many Gems At Large aficionados know is named after Tsavo National Park in Kenya. We’ve been in Kenya buying rough Tsavorite as early as 1977—directly from the mine owners. I remember cutting some of my first experiences cutting Tsavorite go back even further to as early as 1974—not that long after its original discovery. Commercial mining of Tsavorite is reported to have begun only in 1971. What a beautiful color of green we get to see in Tsavorite. 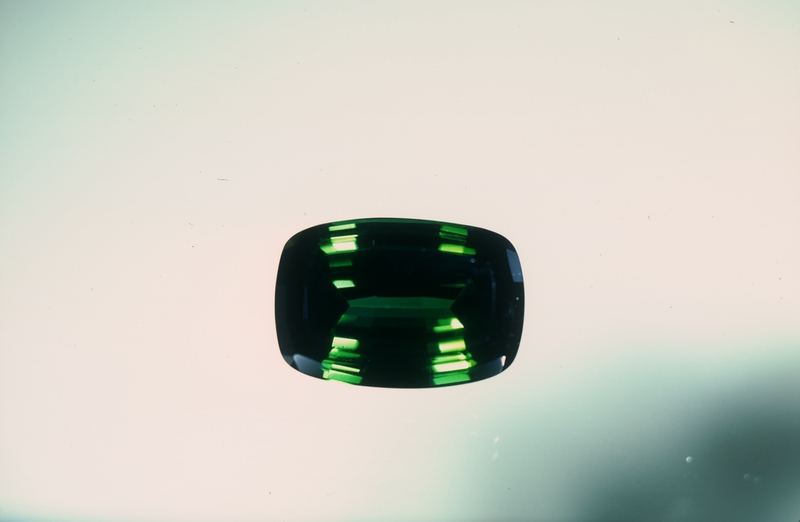 Tsavorite is a color variety of grossular garnet—which is a calcium rich garnet. Initially gemologists assumed that the green color was caused by chromium as is the green color in Emerald and Demantoid garnet. Oops. It turned out that it is vanadium that gives Tsavorite its color. 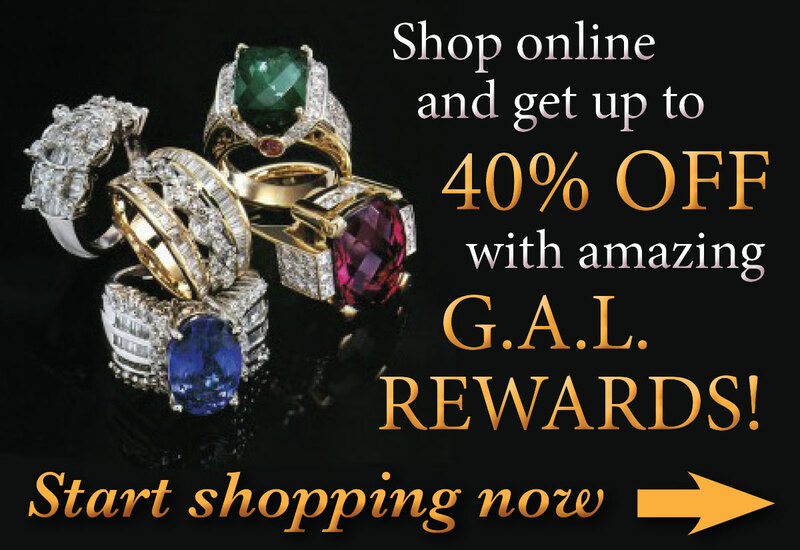 The best Rhodolite garnets are truly amazing to see. Especially in the bigger sizes. The stone in the photo is a 44+ carat amazing gem. This particular stone was mined in Sri Lanka which produces some unexpected gem varieties in its gem gravels. “Gem gravels” you say? Yes, lots of the gems found in Sri Lanka are in alluvial deposits where the stones are truly in gravel form and all rounded and stream worn. From Sri Lanka we’ve obtained many different types of gems: Star Sapphires (both blue and pink), Rhodolite garnets, Cat’s-eye chrysoberyl, Alexandrite, Blue sapphire, Pink sapphire, “Common” chrysoberyl, Cat’s-eye alexandrite, Andalusite, Yellow sapphire, and Spessartite (garnet). Not bad for a little Island down at the tip of India. One more thing. A couple of the meals we’ve experienced in Sri Lanka were some of the best anywhere in a long lifetime of world travel. Our first Chai tea experience was in Sri Lanka in 1981. They are ahead of their time! Garnets are actually a group of minerals that have a lot in common. 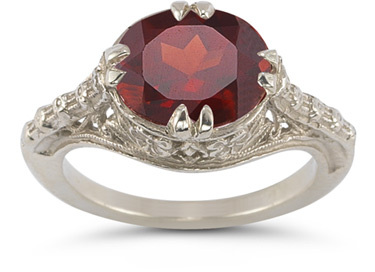 As the world becomes more and more gem-savvy, more people are coming to know the wonders of garnet. First of all, garnets are all silicate minerals and crystallize in the isometric crystal system (also known as the cubic crystal system). The most common crystal form within the isometric system in which Garnets form is a “rhombic dodecahedron:” a 12 sided form that is somewhat of a cube with fanciful flourishes. While a true cube has 6 sides, garnets add another 6 just for fun.